"This is a very good and moist cake recipe I received from my grandmother years ago. It makes a nice addition to any dinner table." Wonderful, moist cake! A real treat. The batter was thicker than I expected and I thought I made a mistake, but the result was a big hit with everyone. 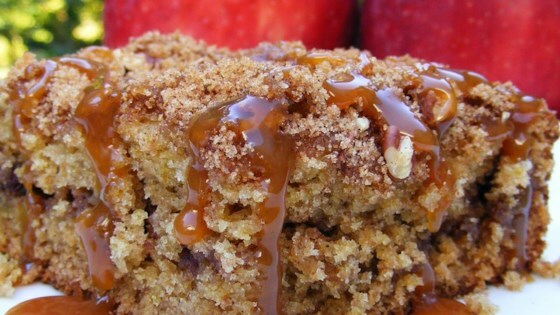 Outstanding recipe for a great coffee cake for a brunch. I added 1/2c. of cinnamon chips and a chopped Gala apple- Excellent! I only made this to use up some applebutter but this recipe is a keeper. It is worth buying the apple butter just to make the cake. Delish!